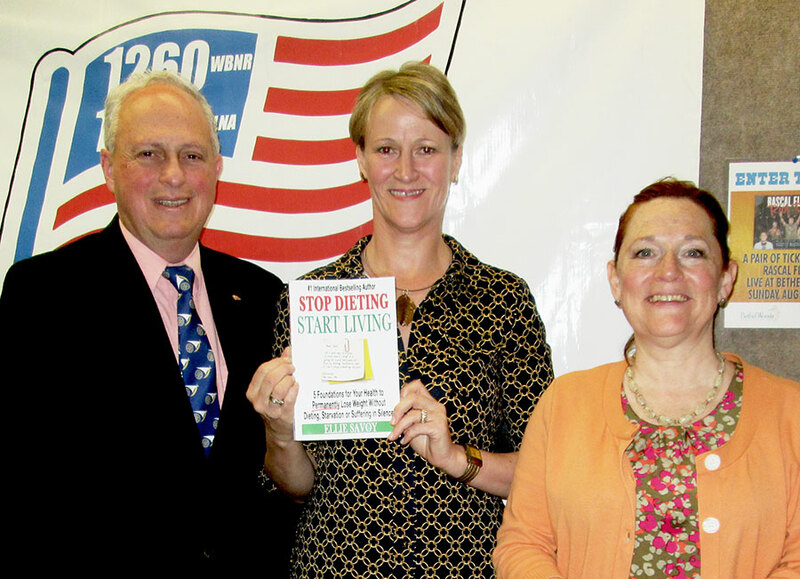 Radio Rotary Interviews Certified Holistic Health Coach and Millbrook Rotarian Ellie Savoy, author of Stop Dieting Start Living: 5 Foundations for Your Health, to Permanently Lose Weight Without Dieting, Starvation or Suffering in Silence. Ms. Savoy argues that dieting does not work because it has a beginning and an end. Instead, we should stop living on autopilot and become aware of our own body. Her best-selling book tells how she did that for herself and how the reader can do the same. The key is to invest in yourself by eating real food. Programs since 2009 follow in reverse chronological order. Please use the categories below to find shows by topic. Click here to view our Rotary Club sponsors. Join us - everyone welcome at all events! Club Sponsors -- Advertise your upcoming event here. 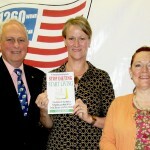 Mental Health America Of Dutchess County, Inc. Seated: Skip Rottkamp. Standing: Co-hosts Jonah Triebwasser, Sarah O’Connell. 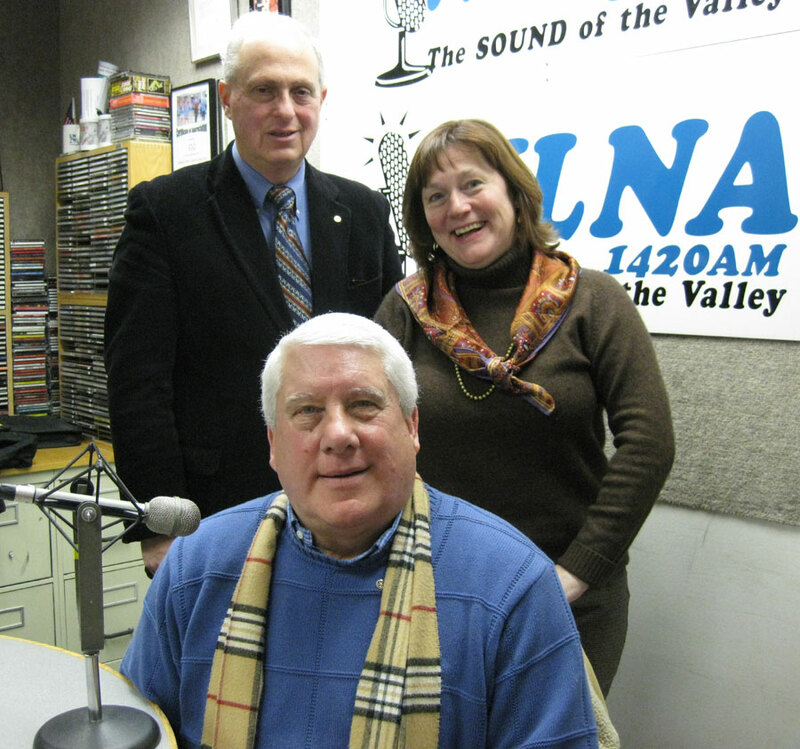 Click here to listen to Assistant Governor Skip Rottkamp (Rotary District 7210) from Fishkill Rotary discusses project Operation Warm. After more than 25 years of hard work, Rotary and its partners are now "This Close" to eradicating polio, and a wide array of public figures and celebrities have signed on to help Rotary spread the word. Headlined by Microsoft Corp. Chairman Bill Gates, this diverse lineup of influential leaders and personalities includes Archbishop Emeritus Desmond Tutu, action movie star Jackie Chan, conservationist Jane Goodall, premier violinist Itzhak Perlman, Grammy Award winners A.R. Rahman, Angelique Kidjo and Ziggy Marley, golfing great Jack Nicklaus, and peace advocate Queen Noor of Jordan. How Rotary has changed to help people get clean water for longer than just a few years. Stephanie Woollard went from Down Under to the top of the world to find out if one person can make a difference.